Such was the backstage verbal shorthand among Philadelphia Orchestra musicians at the Kimmel Center after Maria João Pires rehearsed May 16 for her first U.S. concert since 1999.. Replacing Maurizio Pollini, she interrupted her designated free month to play Chopin’s Piano Concerto No. 2 both in Philadelphia and at Carnegie Hall in what were Charles Dutoit’s final concerts as the orchestra’s chief conductor. Pianophiles know her as one of the great artists of our time. To nearly everyone else in the United States, where she never had much of a presence, Pires is unknown. Away from the piano, she’s smaller and more fragile than you’d expect. Her face – elegant features and short hair that once made her look `gamine’ – has seen a lot of sun, and wears the long-term effects handsomely. In contrast to her exquisite, intimate pianism, her voice is like soft-grained sandpaper, but firm when need be. Following the rehearsal, she fielded an interview request from a news agency in Portugal, but the minute she heard it was from her home country, she said, “I’m sorry.” She isn’t exactly in self-imposed exile from Portugal after the failure of her school for under-privileged children – she still has her family farm – but it’s no longer her home base. It’s a tough subject about which she can say little; someday the whole truth will come out. Walking in to see her, I pulled out an indy jazz CD by her namesake, Maria João. “I see you have another career,” I said. She didn’t get the joke because she knows this vocalist and has even accompanied her. So – simple questions first. DPS: Why so few concerts in the U.S.? MJP: I don’t know why. My relationship was never very close. It never happened. You have relationships to places, to promoters, to halls. It’s something that happens. There was a moment I didn’t want to come – all of the Bush years. I felt very bad about America. But when this invitation came from Charles Dutoit I said, “Oh yes, I’m going now.” I’ve played a lot with him in the past in many places in Europe. I like to replace colleagues. I feel useful. Also, I don’t have time to think too much. DPS: Oh, you have that problem too? MJP: We all do. We’re not the only ones! DPS: I know that you’ve studied Buddhism and that you’re not one to cultivate your ego. But it seems to me one has to have an ego for Chopin. It’s music for the virtuoso. MJP: I don’t agree with that. Before everything else, Chopin is a poet. It’s very inner music and very deep. I don’t feel at all it’s for show. He had that in himself. But I don’t agree. I’m sorry. Chopin is the deep poet of music. But he also invented this terrible thing called piano recitals. That made me suffer all my life. DPS: Why don’t you like recitals? MJP: It’s one person doing the whole thing. Not sharing a stage is very difficult for me. You are apart from the group, apart from community, apart from everything. You become different and special. And if you become different and special, you’re alone. DPS: But certainly you’ve spent a lot of time alone as a student practicing. MJP: I never did it because I had no time. I was always very busy with other things…I had children very early and I had to take care of everything. I never had much time for the piano. I was always an amateur somehow. I did the career … it was not on purpose. It was not wanted and it was not very natural. DPS: But you have such a natural facility for piano. MJP: I don’t think so. I have small hands. Many technical problems – not many but some. Of course I found my own body language with the piano and my own way of getting out of my problems but they’re still problems. The other thing is I don’t really like to play concerts. I don’t like to be onstage. That’s not a comfortable thing for me. DPS: One of your main teachers was Karl Engel – not a big ego pianist. MJP: He was an accompanist, basically. I learned so much with him. Learning music is learning about life. You don’t learn how to play an instrument without learning how to discover music through yourself. Your relationship to the outside world is very important. This is very important. MJP: The others also haven’t been easy! [laughs] I don’t believe that life can be easy. I had some difficult and violent experiences in life and I feel that came to teach me something that I had to learn that was very urgent. One of them was my project in Portugal. I learned a lot and I learned a good lesson that everybody has to learn in life. Struggling and fighting is not the solution. The solution is the step back, observe, know why and understand why and then see the reasons it happened. And I was a fighter all my life. I think now I’m much less. MJP: No, my grandfather. My father died before I was born, just two weeks before I was born. DPS: Your life has been hard. MJP: I grew up in a family with my brother and sisters and my mother. And with our grandfather, who was Buddhist and that was very strange in that moment. But my father lived until he was 30 or 32 years old in China and Japan. He studied the philosophy. Much later I studied Buddhism; I was over 40 years old. I have a very strong relationship to that philosophy. But I don’t like to say I’m a Buddhist. When you say what you are, you’re already setting certain limitations. Even just saying that you’re American gives yourself a limit, no? But what you are is a human being. Before anything I’m a human being. DPS: Sometimes I’m not sure what I am. MJP: That’s nice! Very nice not to be sure. The best thing in life is not to be sure and to accept it. DPS: How did these experiences in recent years change your playing? MJP: I don’t know. I’m changing all the time and I’m happy to change. For sure my playing changed, but I don’t know in what way. Of course I’m always searching through the music. Searching about everything. DPS: You now live in Brazil, I’m told, and you’re conceiving more humanitarian projects. MJP: Right now this project is very limited because I am doing many things in Europe and my children live in Europe. You know I have six children. I had four girls. Then I adopted a boy. And then I took another boy. And they are still very young and they want to study in Europe. So I’m very much related to Europe right now. I have a project that’s very important to me right now where I could work in Brazil and other places, like Africa. A project that uses musicians to participate in a certain change. MJP: You’re very mean! It’s so difficult for me to express that. It’s right at the beginning. People care about careers and themselves and all the business that is around music. And that is, for me, somehow, nonsense. Art has nothing to do with that. Competitions take the soul out of the musicians. And the first moments you want to make music in your life it’s for reasons other than business. And in competition you feel like you have to kill someone to have his place. This is horrible. This is not art. So I would like to give young people the possibility of taking the mission of the society in the world. Not fighting against that but finding new ways. I’m not saying to change the world. This is very pretentious. What better than to have artists in projects in many places in the world where problems are big. It’s not decent that we’re eating a lot and having a lot of luxury and people are dying because they have no food or no water. Our mission should be to try to change things. And art is something that can give people their dignity back. DPS: Your school in Portugal: When did that end? Did the government withdraw financial support? MJP: It was 2006 and I never complained about financial support. I had financial support. That ends there. DPS: What was the problem? MJP: I never said it in public. DPS: I understand that it left you in debt. Are [the debts] paid off? MJP: I need one or two more years. DPS: Did you lose a lot? MJP: Oh yes. My life totally changed. I’m very lucky that I’ve always been very relaxed about material things. So I don’t really suffer inside. But it was a violent thing. And I can cope with it much better than many people would. DPS: At least it keeps you from retiring. I’ve heard that you planned to. Or want to. MJP: Let’s say, “No plans.” I did retire once. I tried. For those reasons I could not stop yet. I still hope that it will happen very soon. DPS: People wouldn’t love you so much if you didn’t have something to offer that they weren’t getting elsewhere. MJP: I don’t believe that. There are so many great musicians. DPS: I love your playing very much. But I don’t know why. MJP: Because you don’t know. You like it but you don’t know why. I like that. MJP: I had a heart operation. And never anything else. It was an emergency so I was very scared about that for a while. DPS: You subsequently dedicated one of your recordings to your doctor. MJP: To the team. Because they really saved my life. I was in Spain. I was playing concerts and I had to go to a small city, Salamanca. And when I arrived there I knew something was wrong and wanted to go to the doctor. The person who was working with me said, `Don’t wait. Go now.’ I would’ve had a heart attack. I would’ve died. But I never had it. DPS: We wouldn’t want you to end up like Tatiana Nikolayeva, having a heart attack in the middle of her own concert. MJP: It’s not a bad way to die. She was a nice lady. If you have to die, it doesn’t matter how. But sometimes you also have to survive. That’s what happened to me. DPS: There’s been a lot of mis-information about you and I don’t want to perpetuate it. So, if I may ask, were you married to the violinist Augustin Dumay? With whom you’ve made so many recordings? MJP: We lived together for a couple years. And after that we went apart and continued playing a lot and are good friends now but we never married. DPS: He’s such an extroverted player. Much more than you. MJP: Yes And funny enough, I learned much with him about music. About how to express things. I was too shy. And I think he learned some from me. We had terrible fights when recording the complete Beethoven sonatas. Each of us wanted different things. So you learn to compromise – but not on the important things. And in other things, you suddenly find another way to do it. There are many ways to do it. What came out eventually was a really important issue for me. DPS: You’ve always lived outside of cities, first in Portugal and now in Brazil. MJP: I’m not crazy about cities. I have a strong relationship to nature, the air, the wind, the sun – everything. In the city I feel thirsty. DPS: I’m a city person. Concrete is just fine with me. MJP: If I lived in the city, I should have to go out of it many times. DPS: What new recordings do you have? MJP: I made two Schubert sonatas and one live recording with the cellist Antonio Meneses from Wigmore Hall. I’m playing a lot with him now. Very nice. Somebody with whom I have no struggle; we just play. We don’t talk much. It could be boring but I don’t think so because he’s a great musician. Also, I made two Mozart concerti with Claudio Abbado. DPS: Oops. I’ve taken up so much of your time. I should go. MJP: It doesn’t matter. Time is elastic. DPS: Not nearly elastic enough for me. I never have enough of it. MJP: That’s because you’re a city person. I want to thank Maria João Pires for everything about her that is on the internet. I looked at her Master Class on Youtube which was in 2 parts because I was about to give a Master Class at the local High School, and what I heard there gave me a new understanding regarding interpretation. I am a concert pianist living in South Africa and am now 87 years old but still performing and suddenly after I saw this video I entered a new world! I went to the piano and began to play some of the pieces I was performing and became extremely excited and awe-struck with what I was able to hear and play! It was like a door opening into a great advancement from where I had been before. Very difficult to explain. I just love the way she plays and could listen all day if I had the time! I also like her philosophies. They are very much in tune with my Faith which is Bahá’í. I would be most grateful if this message of thankfulness could be passed on to her. Wonderful interview! Very frank words and everything to the point. She really reveals herself here, thanks your savvy questions, DPS. Hi! I just wish to offer you a big thumbs up for your excellent info you have got right here on this post. I will be returning to your website for more soon. Thanks! Soon to come: Composer Nico Muhly, whose mind works so fast that one needs a printed transcript to take it all in. David, Thank you this interview with Maria João Pires. I absolutely treasure her recording of the Chopin Nocturnes, and I’m sorry I never have had the privilege of hearing her live (perhaps that “might” change one day, although from her schedule it doesnt sound likely). I also completely agree with her assessment of things like Piano Competitions. It is good to see an artist who not only creates poetry with her music, but has a conscience. Always fascinating. A true artist!!! Maria Joao Pirès live at Festival d’Avallon (Savoie, France) on the 24, 25 and 26th of august 2012 ! listen MJP play the waltzes of Chopin, is a stunning thing, nobody plays with the same perfection as she plays. i am very impressed from this beautiful woman. I am sorry that i never met her. I listen her playing and saw her in the internet.Only looking in her eyes I feel the sensibility of her music and of her human being.I hope to have the possibility once to meet her. Wonderful, insightful interview. I just ‘discovered’ her at Amazon.com, went to wiki to get her background, and ran into your meeting with her in the footnotes, and here I am. You really had a way of getting her to open up on her life beyond music. A fascinating discussion with an extraordinary person who happens to play music. I’m buying her Schubert today: the samples are delicious music. Thanks again. Actually, the interview was pretty effortless. I had done good background work, but she was just an open book. She hadn’t even remembered our chance meeting in Edinburgh some six months before: She was checking out of her hotel, I was checking in and struck up a conversation that ended with me, literally on bended knee (I wanted to be eye level with her) asking if she would come to play in Philadelphia. That’s not why she came, by the way. She did it for Dutoit. I will speak my mind, in the true sense of that now hackneyed expression. If Maria Pires’s ideas were followed through, musical pedagogy would be quite different. Her sense of the oddness of the piano recital is dead on. Indeed I often wonder why we have so many of them – generally just repeating the same thing over and over again. I suppose it’s for the one-in-a-million chance of hearing something fresh. Clearly what Maria offers uniquely stems from her life’s struggles, yet a concert career insulates an artist from life – so how then can that artist have any experiences outside music to factor back into his art? A whole new debate is necessary, and the categories of thought necessary to engender it have yet to be defined. 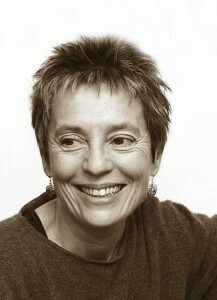 Many years ago I heard Maria Joao Pires interviewed on London Broadcasting Company. I remember her saying, instead of treating the printed notes as a set of instructions for the pianist to interpret as they thought fit, she preferred to imagine the music being composed as she was playing it. So her playing truly is a “revelation”. Maria’s philosophical thinking is wonderfully intuitive. For example on CD notes she quite arbitrarily pairs Schubert with Jacques Superveille, a French poet from a completely different era; but one can maybe see her point. And he is South American as well as French (like Laforgue and Lautreamont) . I have recently encountered Hofmann’s Chopin, and this is, really, a pianist’s intelligence in rendez-vous with some perfect image, crystallized both from contact with an historical pianistic tradition and from some intense intuition about the sources of that art. ‘The sources of” is not just a vague word (un vain mot) : it represents the inchoate creative masses from which the composer hews his work, Michelangelo’s marble if you like. As a composer I have encountered it myself. But the maelstrom has to be boiled down into the finished work: while it always seems much more splendid, ultimately it seems impractical. Maria is thus I think imagining this inchoate world – this Eden before the score – as she lets her sure consciousness allow to unfold some new interpretation not historically rooted (as we see in Perlemuter or Hofmann) but one d r e a m e d true (as in Joseph Conrad). She’s drawing on the tap-roots of inspiration from which the composer proceeded, and of which the finished score is just the most possible realization, on a planet upon which we have to breathe oxygen. When I was much much younger I wrote something similar about Youri Egorov’s performances of Schumann and Debussy (which often weren’t properly captured on his recordings), about how he seemed to go to the inspirational source of the music with no pit stops along the way. People thought I was a little nuts. Perhaps I wasn’t…. Hmmm. I heard Youri Egorov numerous times – in concert, where he was at his best – and there was plenty of technique. Of course! Egorov was a marvelous pianist. Maria Joao Pires was referring to that quality described by you and Mr. Smith, above, where something else entirely happens and technique is no longer experienced as a separate aspect which is noticed and can be referred to. That was why I mentioned it here, for being in that same vein as both your descriptions. I should have been clearer, perhaps; sorry about that. Everyone else in the documentary spoke quite a bit about Egorov’s technique. Her comment was full of a different sort of admiration. Delighted to have found this conversation, with its very disarming glimpses of a magnificent artist and person. Maria João PIres is a treasure like no other. There are entire seasons in my life which revolve around somehow managing to hear her in person again — I am fortunate enough to pull it off every so often somewhere on the European continent — and then attempting to get information and access to the next opportunity. When I first encountered her, decades ago in her native Lisbon where I played in an orchestra for several years, my colleagues said to me just before she arrived at the rehearsal for Beethoven’s 4th piano concerto, “You will not believe what you are about to hear”. And so it was; I remember feeling as if I dared not breathe for fear of missing some miraculous detail. I am counting the days until the end of this coming September when she will play the 3rd Beethoven in Amsterdam. The couple of times in my experience that she was forced to cancel, there was no question of attending the performance by her “replacement”. She cannot be replaced, and one is spoiled after knowing her. One can but hope that Maria no longer needs emergency cash loans! She is an inspiration to us all! MJP’s recording of the Chopin Nocturnes is my favorite…wonderful artist! !